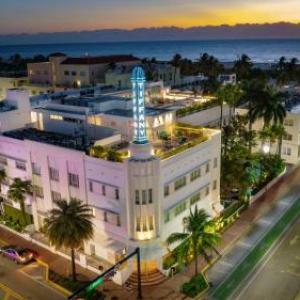 With sun-drenched beaches, palm-lined promenades and art deco architecture, Miami Beach is famous for its glamorous ambience, diverse culture and ultra-chic poolside havens. The city is perched off the coast of Florida and is connected to the mainland by a handful of bridges. Its tropical climate attracts hordes of sunseekers, while kid-friendly attractions, legendary pool parties and lavish nightlife keep all type of travellers well entertained. 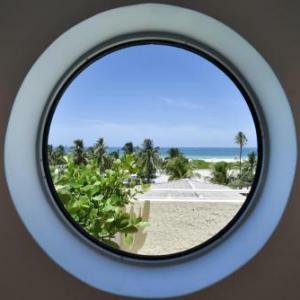 Hotels in Miami Beach range from 3-5 stars and alternate options include private apartments and sun-soaked beach resorts. 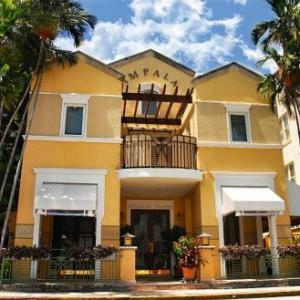 Make use of Miami Beach hotel deals to save money on accommodation while still enjoying the luxury of excellent accommodation. 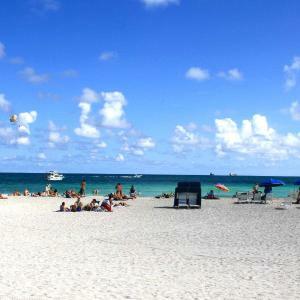 Nicknamed “America’s Riviera”, Miami Beach is a mix of family-friendly beach areas and scenic landscapes. 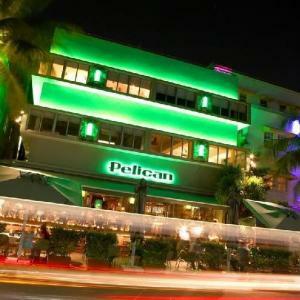 Nothing says Miami quite like South Beach. 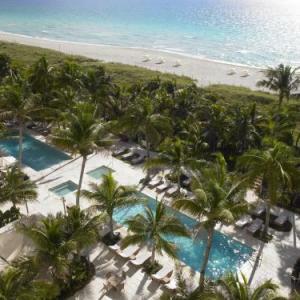 Loved by celebrities, models and millionaires, this glitzy beach area is a playground for the rich and famous. 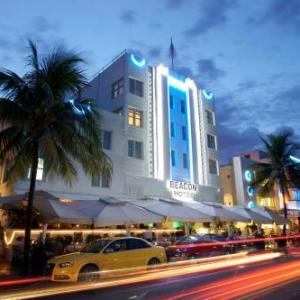 Most of the action is centred around Ocean Drive, a high-end strip lined with elegant art deco hotels. For something a little less lavish, head to Lincoln Road. The family-friendly promenade is home to a fantastic collection of shops, restaurants and cafes. If you’re with the kids, have a fun-filled day with the family at Crandon Park, Jungle Island or Miami Children’s Museum. If you’re craving a culture fix, the Bass Museum of Art showcases contemporary works, while the Wolfsonian-FIU spotlights Industrial Age design. Slow down your pace at Miami Beach Botanical Garden, or enjoy a memorable sunset stroll along the Miami Beach Boardwalk. Locals can’t get enough of the city’s oceanfront parks, complete with open-air gyms, jogging tracks, picnic tables and playgrounds. A perfect activity for one of Florida’s sunny days, spend an afternoon at North Shore Open Space Park, Lummus Park and South Pointe Park. Miami Beach is well serviced by local buses that ferry passengers up and down the coast. Free street trolleys also rumble along, stopping at popular destinations like South Beach and Lincoln Road. Bike, Segway and scooter rental is an alternate form of travel but for direct access to your Miami Beach accommodation make use of private taxis and Uber.